Katie Krueger is a writer, teacher, and social entrepreneur. 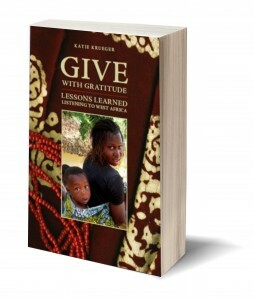 She is the author of Give with Gratitude: Lessons Learned Listening to West Africa and her writing has appeared in The San Francisco Chronicle, the Travel Channel’s World Hum, Transitions Abroad and the Utne Reader. Her entrepreneurship began in 2003 while living in Dakar, Senegal. With two friends, she cofounded a nonprofit lunch program Project Japale Goune, which today feeds over 10,000 lunches to poor elementary school children living in Dakar each year. 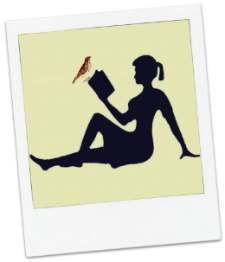 Soon after, Katie continued her entrepreneurial pursuits by starting a publishing company and a grant writing business. After earning her MBA in Entrepreneurship from the University of Wisconsin-Madison School of Business, she became the first full-time employee of Spill, a Tech Stars start-up with a social mission: to help college students connect with supportive and empathetic peers online. Along with the Spill founder, another UW-Madison alumna, Katie fundraised over $400,000 and helped win first place in the the Global Social Venture Competition in 2012. Katie currently teaches Marketing at the University of Wisconsin’s Wisconsin School of Business. She is passionate about languages and fluent in French with varying levels of skills in Wolof, Serer, Hindi, and Portuguese. She lives in Madison, WI with her son and husband.